I'm going to post a new count in a few minutes. 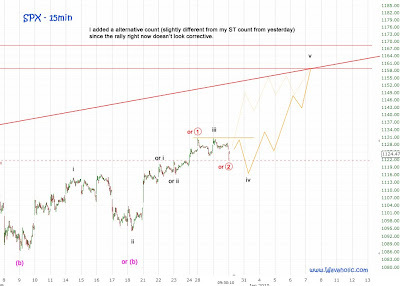 May be I was right in the beginning to place wave (b) at 1086 on December 12th. What I don't like is that wave iii is really short but since wave  extended in wave iii it's very likely that wave v will also extend. Edit: I added an alternative count if the the rally right now keeps going higher and makes a new high in a few hours.